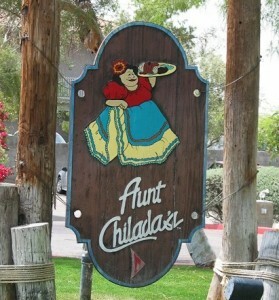 Aunt Chiladas is a unique Mexican located between Glendale Ave and Northern on Dreamy Draw (17th St.) restaurant with a warm rustic atmosphere and amazing food. Their chips and salsa are fantastic and they make the best Margaritas that I have tried. Come and join us for a great evening of food, drink and socializing with your fellow club members.